This cake is chock full of the good stuff. It's got cheesecake in it, lots of chocolate throughout, and a yummy sprinkling of coconut, chocolate chips, nuts, and sugar on top. 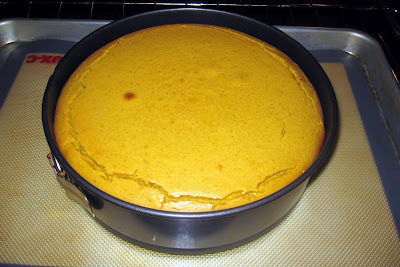 This neat thing happens where both the cheesecake and the topping are placed on the top surface of the batter during assembly, but sink into the cake during baking; the result is that every bite has everything! Whatever the technology is behind that sinking effect (is it just gravity or is there magic at work? ), it's certainly not complicated. This is a cake that's fancy without the trouble. A winning combination! I served it at a dinner party and there was a roomful of smiles. It's great alongside vanilla ice cream but you could also brave it alone. It's chocolaty, but it's not Death by Chocolate (though that would be a-okay, too). Baking mastermind Marcy Goldman has done it again! Preheat the oven to 350 degrees F. Line a 9-inch springform pan or a 9-inch round cake pan with a round of parchment paper. Spray the pan and paper with nonstick cooking spray. Line a baking sheet with parchment paper. Set aside. 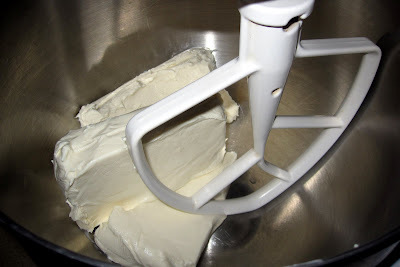 For the cream cheese part, in the bowl of an electric mixer fitted with a paddle attachment, combine all the ingredients and beat on the lowest speed until smooth. 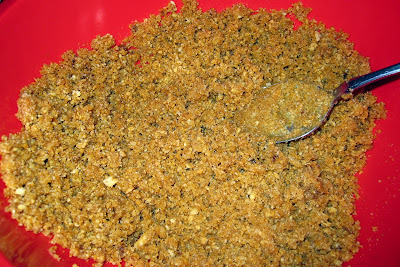 For the chocolate-coconut part, stir all the ingredients together in a small bowl and set aside. 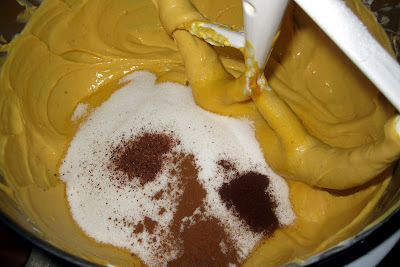 For the batter, combine the cocoa, flour, brown sugar, baking powder, baking soda, and salt in a medium bowl. Whisk to blend. Make a well in the center and whisk in the coffee, oil, and vinegar. 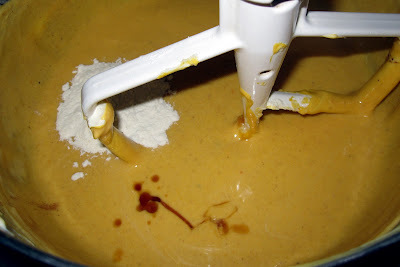 Blend well to make a smooth batter. 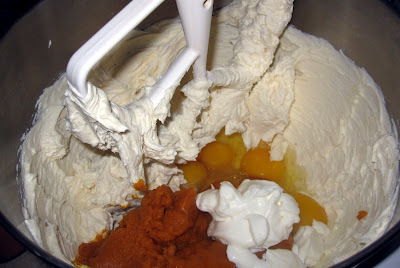 Spoon the batter into the prepared pan, and then spoon on the cream cheese mixture, depositing it in dollops over the surface. It does not have to be even. 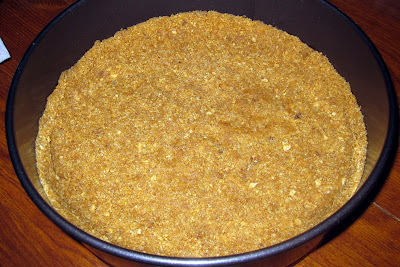 Sprinkle the chocolate-coconut part over the top. 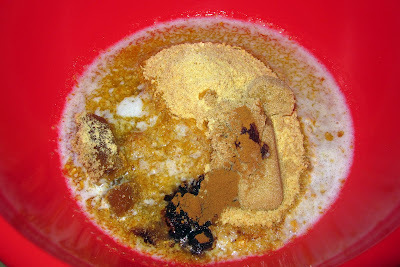 The two mixtures will sink into the cake during baking. Place the pan on the prepared baking sheet. 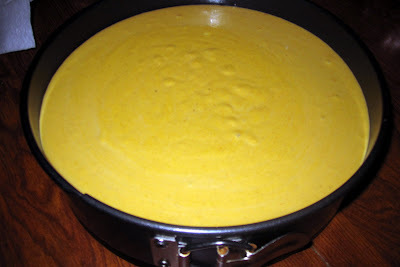 Bake for 25 to 35 minutes, or until the cake springs back when gently touched. 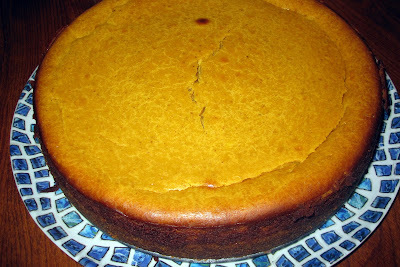 This cake is quite moist due to the cream cheese part, but it should be set in the center. Let cool in the pan on a wire rack for at least 45 minutes, then unmold onto the wire rack and let cool completely. (The cake is a little fragile until it sets up.) 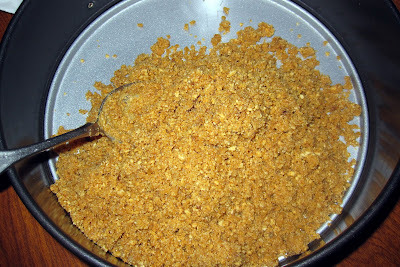 Dust with confectioners' sugar, if desired. 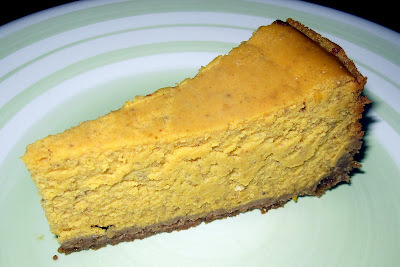 This Paula Deen pumpkin cheesecake is so good. 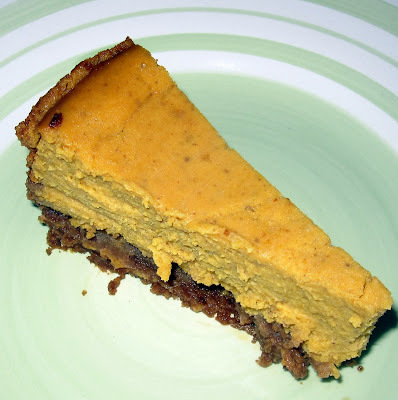 It's creamy and dense and pumpkiny and has a delicious graham cracker crust and is basically everything I'm looking for in an excellent dessert. It's also the recipe that almost burned down my kitchen, and perhaps my entire place. Now that's no fault of Paula Deen's. I was a fool! When I started this baking project, I was really exhausted. That's mistake number 1. But the specific problem that led to such a close call was that I didn't put the springform pan on a baking sheet when it came time to bake the cheesecake. I put the pan directly onto the oven shelf and set the timer. Mere minutes after it was in the oven, me sitting happily and unaware in the living room trying to catch up on my DVR, I suddenly looked up and saw smoke everywhere. And I mean EVERYWHERE. What had happened??? I panicked and ran to the kitchen, turned on the oven light, but did not want to open the oven door so I wouldn't release any heat; the cheesecake's structure was still setting. 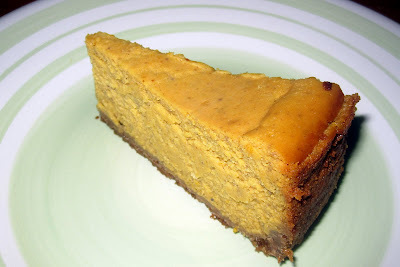 (Looking back, I can't believe I put my cheesecake before the welfare of my home and myself! Ha!) But when I didn't see anything unusual through the glass window of the oven door, I decided I would have to open it up. Sure enough, liquid from the cheesecake was dripping through the cracks in the springform pan and onto the bottom of the oven, creating smoke that the oven's tiny ventilation could not handle. My kitchen was a giant cloud. The smoke alarm went off and in my exhaustion, I thought, OH NO, that's the fire alarm! The firemen are coming! This is embarrassing! And my cheesecake is ruined! I ran next door to get my neighbor and he helped me turn off the smoke alarm, we opened all the windows, put fans at the windows facing outward to pull the smoke out, and my neighbor bravely stuck his hand in my oven and cleaned the bottom of it with a rag so it would stop producing smoke. Everything is fine now. The firemen didn't come. My place is not a pile of ashes. I'm safe. The cheesecake was not compromised by having the oven door open for so long to clean the bottom. And I learned a very big lesson about putting springform pans on baking sheets. This is a cheesecake I'll never forget. But I swear, its incredible, rich taste is memorable, too! 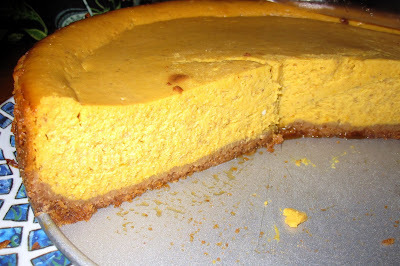 Recipe by Paula Deen on the Fall Harvest episode of the TV show "Paula's Home Cooking"
Your crust is ready to go!